Here’s the thing, see. I am a yinaar (woman) and my sweetheart is one too. 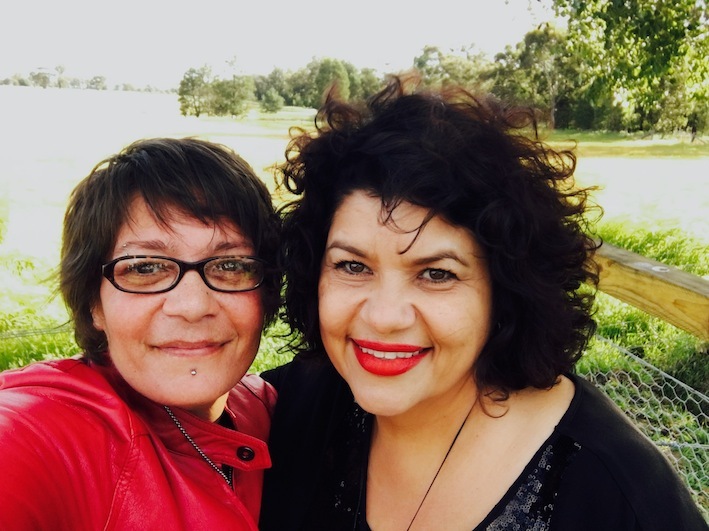 I’m Yuwallarai, she’s Wiradjuri. And thanks to a big bunch of Australians who said ‘Yes’ in the awful but lawful Australian Marriage Law Postal Survey, we and other lesbian, gay, bisexual, transgender, intersex or queer (LGBTIQ) couples are now a whole lot closer to being ‘allowed’ to get hitched, if and when we choose. Like many couples, straight or gay, my partner and I are like chalk and cheese in some respects. She’s an artist and entrepreneur, a driven pocket rocket. I’m none of those things but hold my own in other ways. The same political news that enthrals me makes her eyes glaze over. She’s obsessed with bikes and cycling, I don’t ‘get’ that. She rises early, I could sleep for Australia. She’s fastidiously tidy, me…well. Bright red lipstick has long been my trademark, the only time she has worn it has been post-smooch. But in just as many other ways, we’re very much alike. We’re both fiercely proud of our Aboriginal (and other) heritage. We’re art and music loving homebodies who will almost always choose staying in over going out but, when we do relent, we inevitably end up as a pigeon pair dressed head to toe in black. We love each other and our families deeply, worship our pets, and are addicted to coffee. From the day we took up together more than three years ago, my partner and I have chosen to live in the light. We hold hands in public, openly address each other as ‘darling’, post freely on social media about our shared happiness, and slow dance (albeit nurragah style) at NAIDOC Balls and the like. For better or worse, we have tried to love and lead by example. During the countdown to the announcement of the postal survey outcome on Wednesday, my partner and I huddled in the rain with hundreds of others in one of Adelaide’s public squares. We had arrived in a rush after an interminable hour’s drive in typically crazy wet weather morning traffic. Cramped in the back seat and capturing the moment was a cameraman shooting footage for the advocacy group Australian Marriage Equality (AME) in whose joyous TV advertisement my partner and I had featured a year before. When the film crew – two lovely straight whitefellas – had arrived at our place at 6am, we’d been philosophical and calm about the hours ahead. I’d dismissed the dark clouds overhead, reasoning to myself that rain was needed if there was to be rainbows. But sheltering under an umbrella in the park with eyes fixed on the big screen, unexpectedly my heart raced with anticipation and tears welled. My partner’s kind brown eyes met mine and immediately followed suit. We squeezed each other’s hands and waited. And then came the announcement from the Australian Bureau of Statistics’ head statistician – that 61.60% of eligible voters had said Yes to marriage equality, compared to 38.40% who said No. The crowd erupted with cheers, we all hugged, wept, sang and danced. 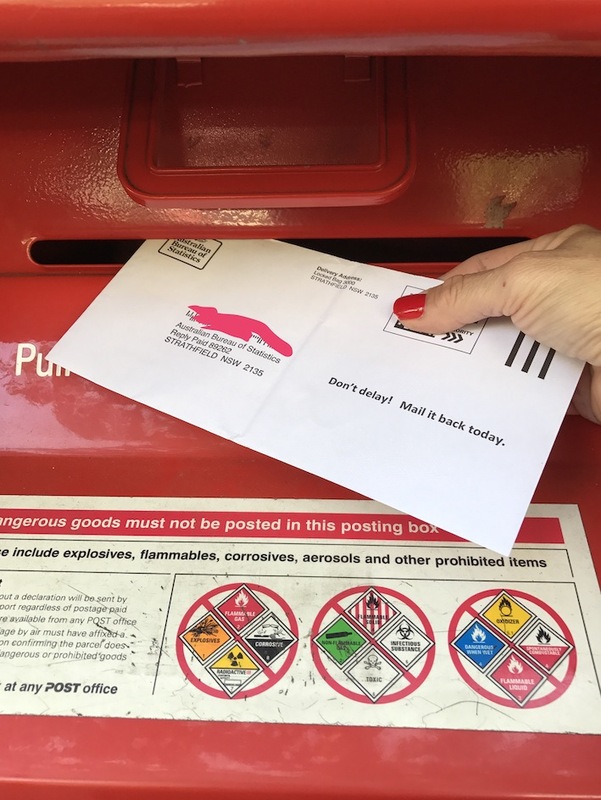 The postal survey and all of its associated political and social mischief had put us through a proverbial spin cycle of anger, anxiety and grief. But it was finally done and our emotions switched to elation, relief and gratitude. Now, a Consensus Bill on marriage equality is being discussed in the Federal Parliament and is widely expected to put the issue to rest before Christmas. We don’t have to look far for the answer. 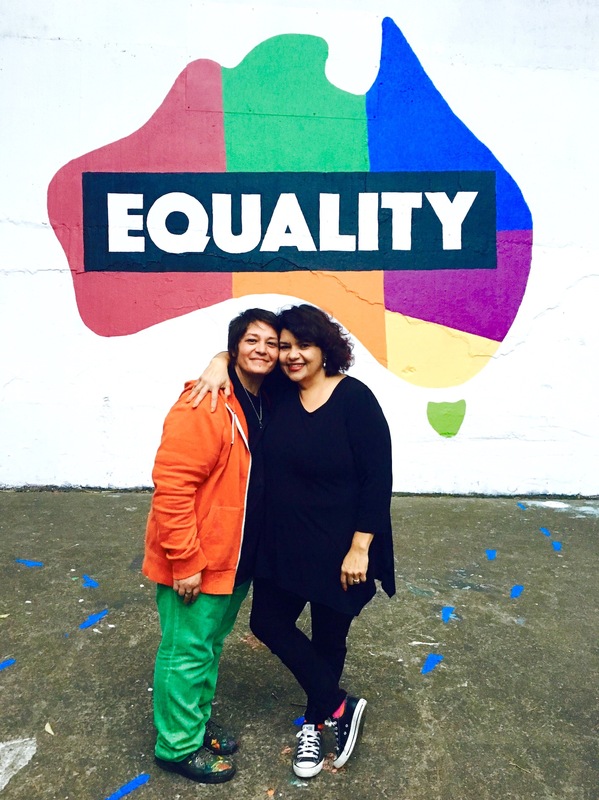 Wedding bells will likely soon ring for many LGBTIQ couples but there’s another bell that hangs mute – one that could herald a different but no less important message of justice for Aboriginal and Torres Strait Islander people, irrespective of sexuality. In May, I attended the historic Uluru Convention that called for a Constitutionally enshrined Aboriginal and Torres Strait Islander body – a ‘voice’ – to advise Parliament, coupled with a Makarrata or ‘truth-telling’ commission established through legislation to oversee Treaty and other agreements. 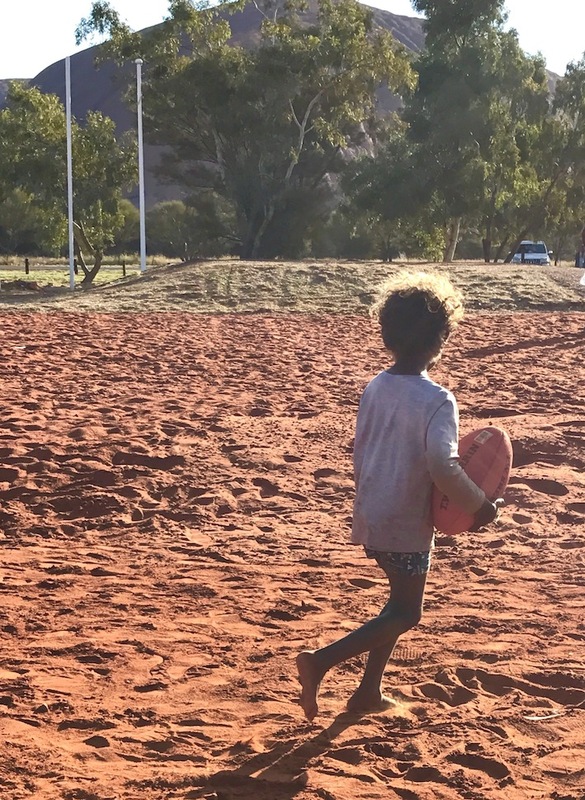 An Anangu youngster plays football at Mutitjulu near Uluru, after delivery of the ‘Uluru from the Heart’ statement. Last month, the Turnbull Government doused those aspirations, declaring the Voice to Parliament proposal too radical to command the kind of public support required for a successful referendum. The proposal isn’t radical and a fresh national survey has found widespread public support for it and other meaningful change to the nation’s founding document. I can’t understand how any politician who claims to have truly ‘heard’ the moving ‘Uluru Statement from the Heart’ could imagine that mere symbolism in the Constitution will suffice. Or that an expensive referendum on such a comparative trifle should proceed. That fight isn’t over, not by a long shot. With greater political leadership and courage than we saw on marriage equality, the matter of meaningful Constitutional reform could and must be resuscitated. Australia’s Yes moment this week was magnificent and we will savour it. But our bruised full hearts are braced for the road still ahead. Beautifully written, darling. Was just thinking of you for no particular reason and thought I’d do a little online stalking/procrastinating rather than finishing what is just hours away from being a missed deadline. And I find out that hitching might be on the horizon. I’m so happy for you, although I do hate you a bit for looking as good in red lipstick as you did back in the Pilbara all those years ago, while I’m greying, wrinkling and sagging in all the wrong places. Good luck with all your campaigning. Over here it feels like we’re just emerging from a dark time when the previous government went out of its way to undermine indigenous culture through the manipulation of the Department of Aboriginal Affairs (it even took a Supreme Court case to get them to back off). It got so bad that they were proposing that the responsibility of deciding what constituted Aboriginal heritage would lay in the hands of one person – a bureaucrat. We could probably do with a state-based ATSI voice as well. Cheers and best of luck, SteveG.